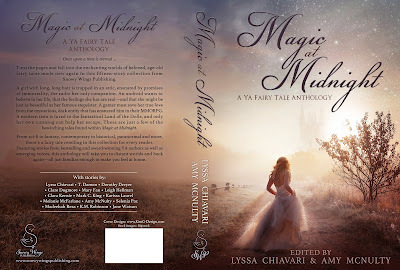 Today I'm super excited to reveal the cover for the Snowy Wings Publishing YA Fairy Tale Anthology - Magic at Midnight, which is scheduled for release May 29. Turn the pages and fall into the enchanting worlds of beloved, age-old fairy tales made new again in this fifteen-story collection from Snowy Wings Publishing. A girl with long, long hair is trapped in an attic, ensnared by promises of immortality, the radio her only companion. An android wants to believe in her life, that the feelings she has are real—and that she might be just as beautiful as her famous stepsister. A gamer must save her true love from the mysterious, dark entity that has ensnared him in their MMORPG. A modern teen is lured to the fantastical Land of the Dolls, and only her own cunning can help her escape. These are just a few of the bewitching tales found within Magic at Midnight. From sci-fi to fantasy, contemporary to historical, paranormal and more, there’s a fairy tale retelling in this collection for every reader. 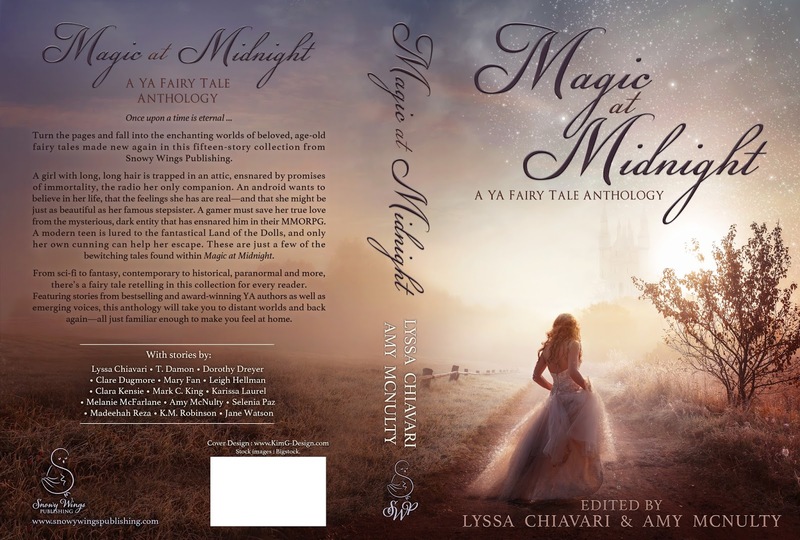 Featuring stories from bestselling and award-winning YA authors as well as emerging voices, this anthology will take you to distant worlds and back again—all just familiar enough to make you feel at home. Clara Birch has always loved Christmas, and the story of The Nutcracker Prince is her favourite since childhood. That’s why she’s determined to attend town's annual masquerade ball themed around the classic fairy tale. It doesn't matter that she's only sixteen, and the ball is held at town's most exclusive nightclub, Sugarplums. Clara and her best friend, Maria, are armed with fake IDs, and they're not taking no for an answer. Once at the ball, Clara is approached by a handsome stranger, who offers to buy her a drink. After just one sip, she passes out. When she awakens, Clara finds herself in a strange realm, and though the world is not her own, it’s oddly familiar to her. She soon discovers she’s been spirited away to the Land of the Dolls; a kingdom ruled by the Nutcracker Prince she so loved as a child. But all is not as it seems in the Land of the Dolls. After stumbling upon the palace dungeons, Clara discovers the Nutcracker Prince is hiding a terrible secret. The magical Land of the Dolls is nothing more than an illusion. Now Clara must escape this once enchanting fairy tale realm, before it costs her her soul. 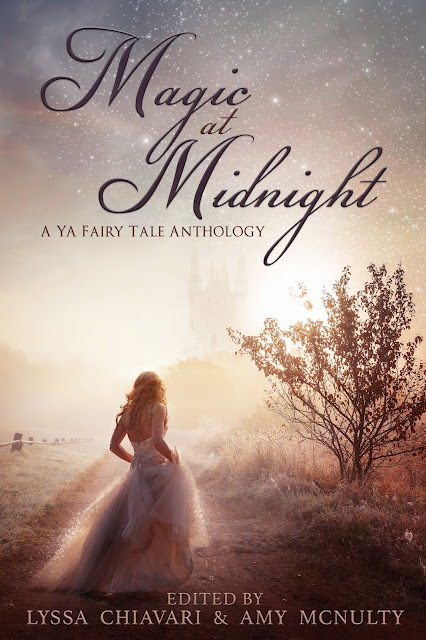 I absolutely love anything fairy tale related, including retellings! Definitely adding this to my Goodreads list. Thank you for taking the time to read this entry, and comment. I really appreciate it. Clare Dugmore is an author of contemporary-romance, urban-fantasy and paranormal fiction. This blog is exclusively for writing updates and promotion; e.g. cover reveals, release blitz etc. I Literary Can't Even Podcast! Unless otherwise stated, all content © Clare Dugmore 2012 - Present. Travel theme. Powered by Blogger.